I can't say enough good things about Mathnasium of Buckhead. Andrew Soloman, the owner, took steps above and beyond to support my daughter. Not only has he hired wonderful tutors that can relate to and work well with kids of all ages, he took the time to understand the IB curriculum and he met with my daughters math teacher. 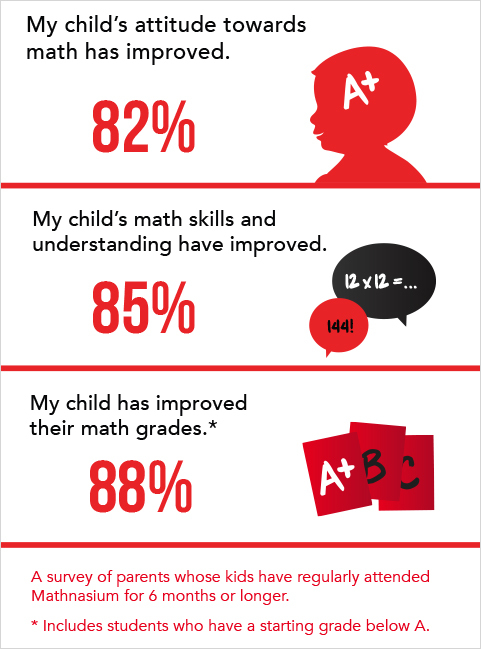 The entire format of Mathnasium is just what we needed and we are so pleased that Andrew is in the Buckhead area. I do not have enough words of praise for Andrew and the very talented folks at Mathnasium Buckhead. This past year was very difficult for my child. Mathnasium helped her stay on top of some very difficult math concepts. Andrew stayed in contact with her math teacher, making sure there was consistency between what she was learning at school and at Mathnasium. He offered counsel to me as a parent and encouragement to my daughter. I honestly feel that Mathnasium stopped my child from sliding into a state of " I can't do math and I give up" . They helped her see concepts in a way that made sense. She finished the year not just with good grades but more importantly with confidence in her math skills. I will forever speak the praises of this amazing place and what it did for my child.